The old canard that more night lighting means safer streets has led to the over-illumination of our cities, washing out the night sky and creating health, environmental, and aesthetic problems. John Gendall investigates new research that is leading many designers to raise the call for less light. In 1909, just 30 years after Thomas Edison made electric light commercially viable, the Italian writer Filippo Tommaso Marinetti came up with an audacious idea: “let’s murder the moonlight!,” he declared in a manifesto titled by that phrase. Just a little over a century later, his idea, once the stuff of early modernist fantasy, seems truer than he may have expected. The moon’s visibility persists (sorry, Marinetti), but stars are a different story. Unless you’re reading this on a camping trip in a remote part of Montana, go outside at night, look up, and, depending on cloud cover, you’ll very likely see a monochrome canopy of muted light grey to almost-but-not-quite-black, dotted, depending on the size of your city, with a dim handful of stars. 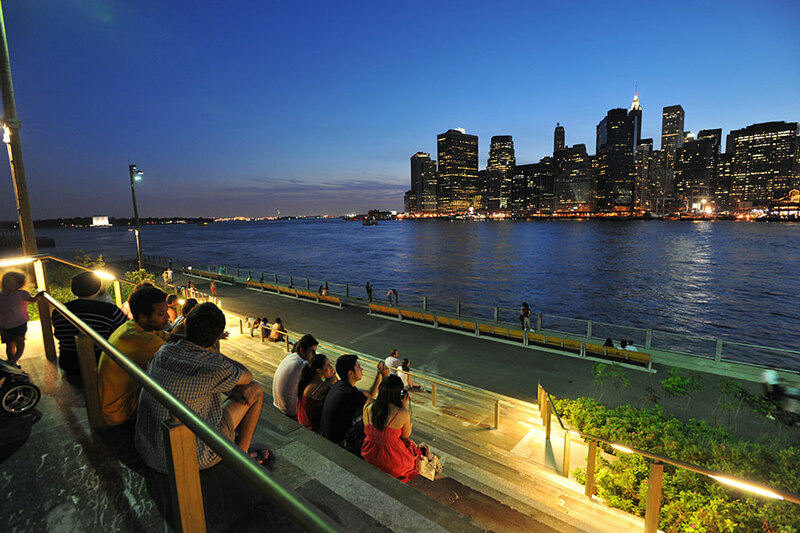 Brooklyn Bridge Park Pier 1, designed by Michael Van Valkenburgh Associates, mitigated light pollution by customizing the direction of the park’s lighting. Those very real consequences also include some serious medical conditions—cancer, obesity, diabetes, and depression—linked to light exposure (by way of melatonin, the hormone that light modulates). That is just one layer. Astronomers can’t see stars through the haze of light, migratory patterns have changed, and the cost—environmental and economic—of keeping the night turned on continues to rise. Over the last 15 years, as glass technologies have improved, the design community has done much to tackle the issue of daytime light exposure. As skylines around the U.S. become ever more clad in glass, the architects and developers producing these curtain walls, and the critics who write about the buildings they enclose, tend to sing the same chorus: interior spaces bathed in natural light. When this sunny thought is not enough on its own, out come studies pointing to higher worker productivity, better achievements on test scores, and happier, more focused brain chemistry. While no one would dispute the merits of exposure to natural light, it seems a good time to ask: what about the natural dark? 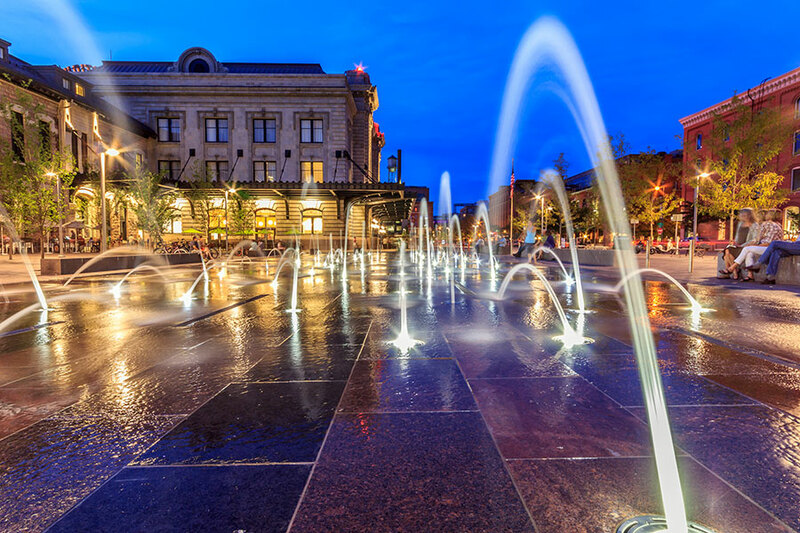 Union Station in Denver, with lighting design by Clanton & Associates, features contrast lighting and downlit facades. This does not mean that museum visitors spend their evenings fumbling around in the dark. Physiologists now understand that human sense perception is far more finely tuned to contrast between light and dark than to what had seemed to be the prevailing approach to light: more of it. 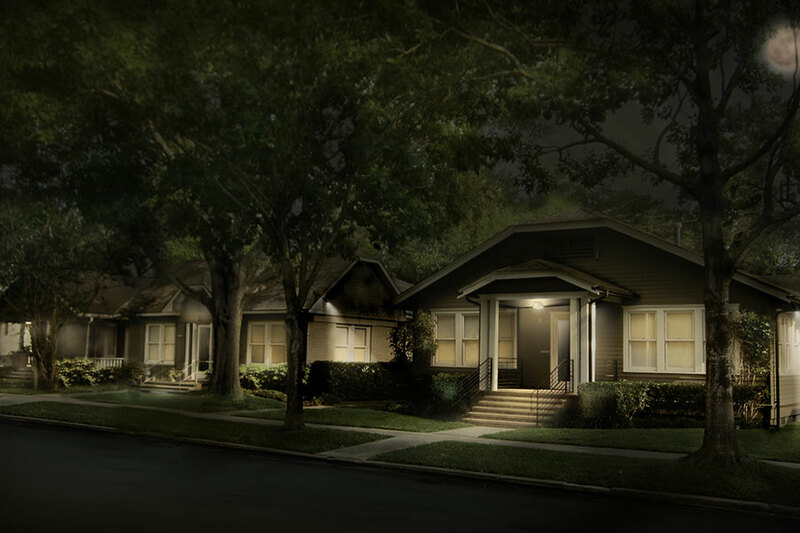 The trick is to illuminate change—steps, doors, paths—rather than entire landscapes. 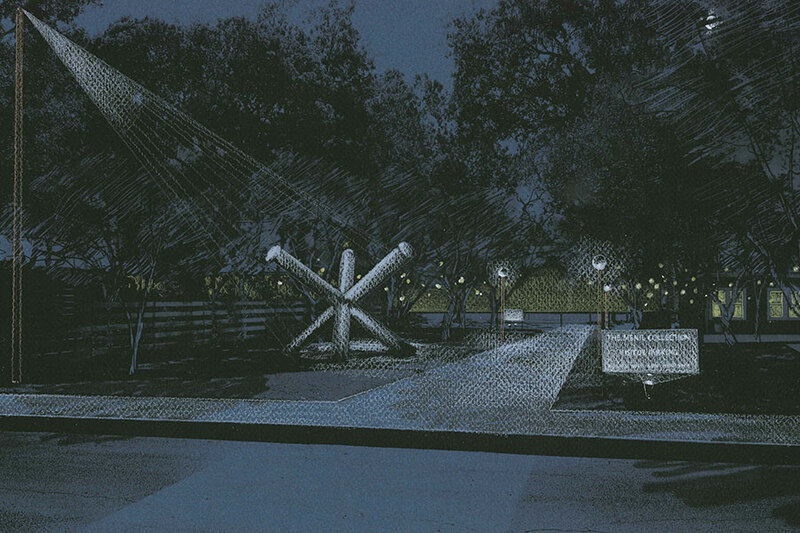 So, at Menil, Tillett called for path lighting that would render the space easily navigable without blanketing it with light. “We preserved the campus atmosphere, using a play of light and shadow, to enhance wayfinding,” she explained. 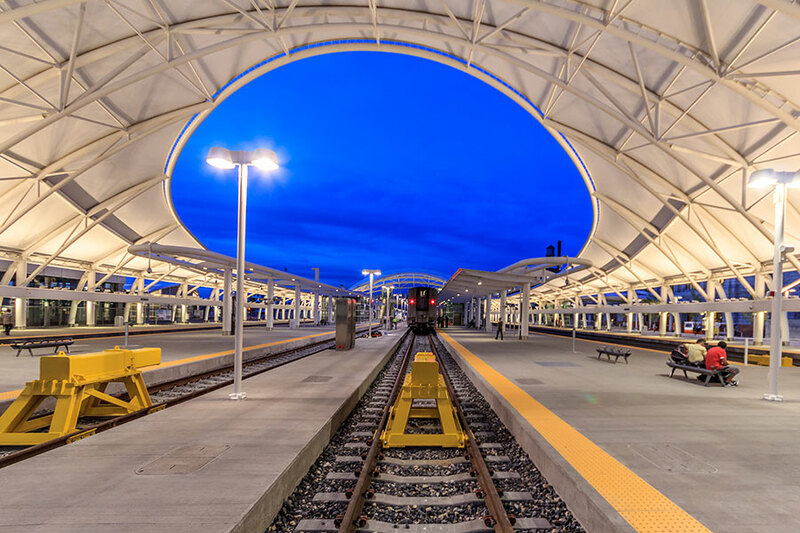 To get to this level of specificity, designers are rethinking the fixtures themselves, equipping them to control the direction of light to eliminate trespass beyond property lines or municipal borders. Acorn lamps, for example, were perfectly suitable for a kerosene wick in a 19th century city, but using them with incandescent bulbs now is a stubborn grasp for historicism to the point of irresponsibility. “Oftentimes parks are lit by acorn lights, derived from gas lamps, so the result is a bunch of glary balls of light along a path, but everything else is pitch dark,” said Matthew Urbanski, a principal of MVVA. 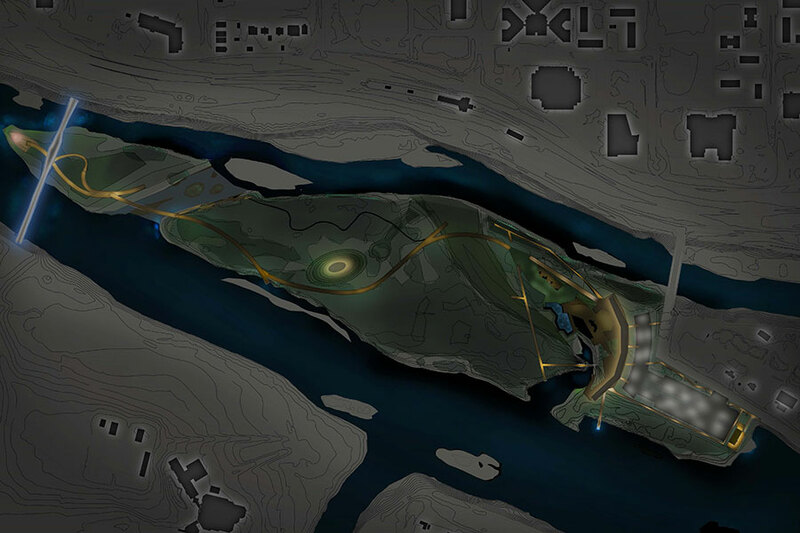 With its design for Brooklyn Bridge Park, MVVA carefully tailored the directionality of light to cut down on light pollution and to enhance the experience of the park. Tucked beneath Brooklyn Heights, any uplighting in the new park would disturb the neighbors above. “By putting light in the right place—high, distributed, and pointed down—we were able to adequately light a place without causing light pollution,” said Urbanski. 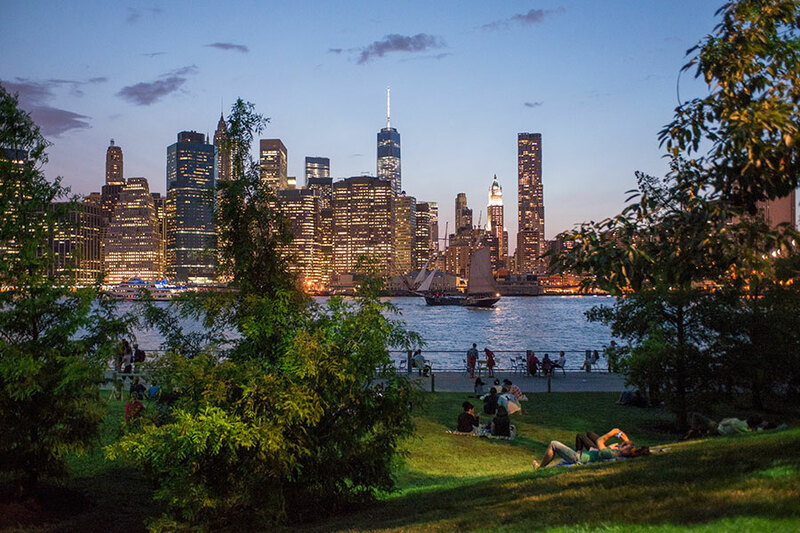 “When you’re on the promenade [in Brooklyn Heights, above], you can look down and be unwittingly staring at a light bulb.” For visitors to the park, the firm appreciated the value of looking out onto the water from the shore, so it avoided perimeter lighting that would have interrupted that view, opting, instead, to light from behind with shielded, side-baffled lighting. The Menil Collection in Houston is being master planned by MVVA. So, in what might seem a counterintuitive twist, improving visibility at night seems to start with turning the lights down. 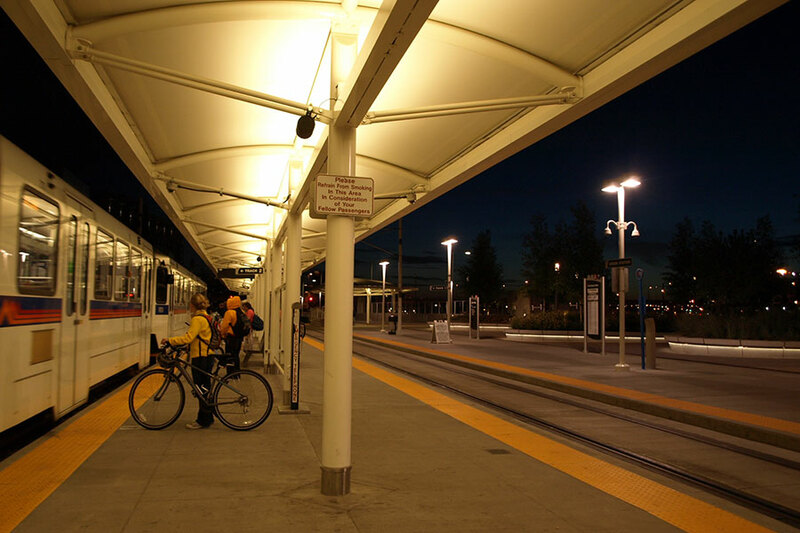 Nancy Clanton, a Boulder, Colorado–based lighting designer and an author of the International Dark-Sky Association’s technical guidelines, has researched this effect in several American cities. “We have studied areas and have gone from full light levels down to 50 percent, then down to 25 percent, and we ask the public to tell the difference, and no one can perceive any change,” she said. “Vision is logarithmic, so in lighting, our linear metric is completely wrong,” she continued, backing up the fact that lighting can be cut to a quarter of current levels without anyone noticing. 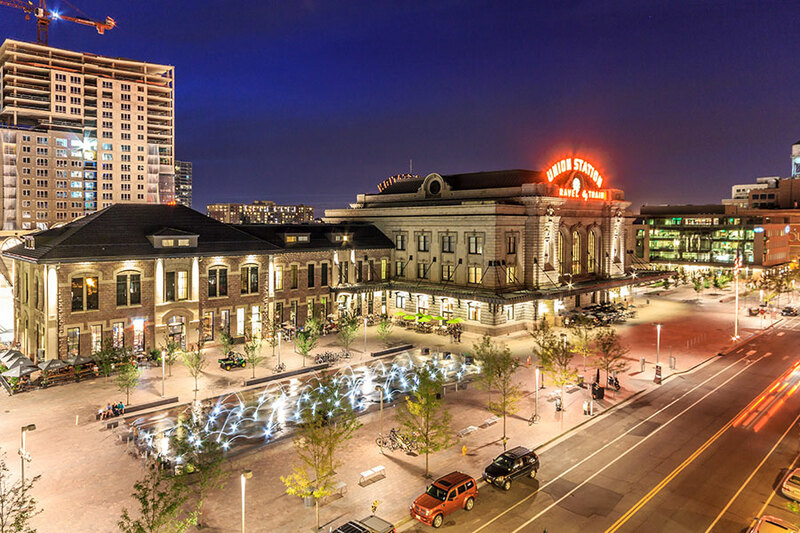 In her lighting design for Union Station, in Denver, Clanton applied her research findings, keeping light levels low, emphasizing contrast, and downlighting facades (she has found, people feel safer when they can see a horizontal surface more than they would with a generally illuminated ground plane). 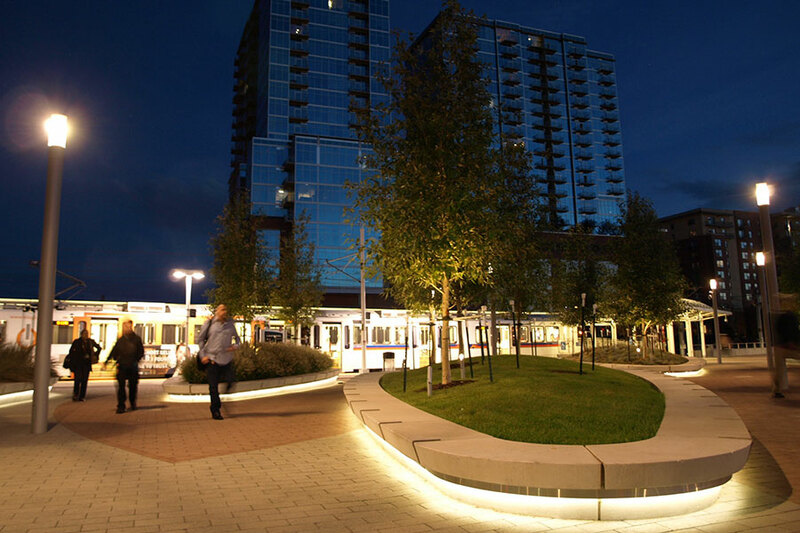 Tillett Lighting Design took minimal approaches to fixture usage at St. Patrick’s Island in Calgary, Canada, designed by W Architecture and Landscape Architecture and Civitas (left). Detail from the Menil Collection (right). There is much to be said for that old green queen. There is the melatonin, yes, and real public safety implications, true, but there is also the issue of getting a nightly reminder of our place in the universe. The night sky has long been the muse of architects and designers, evidenced by cities across the world and over the millennia that have been laid out in response to constellations. Rather than drawing from the past by screwing light bulbs into acorn lamps, it seems that celestial awareness would be a better lesson, designing spaces that don’t wash out the fact that we are, as Marinetti puts it, “all of us enwrapped in the immense madness of the Milky Way."